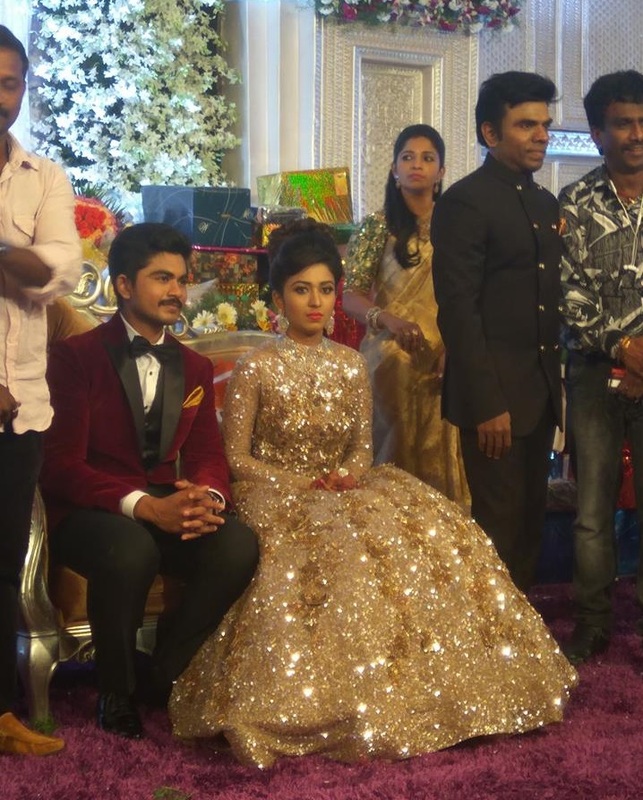 CHENNAI: Chennai-based businessman Arun Saravana\'s daughter recently got married. 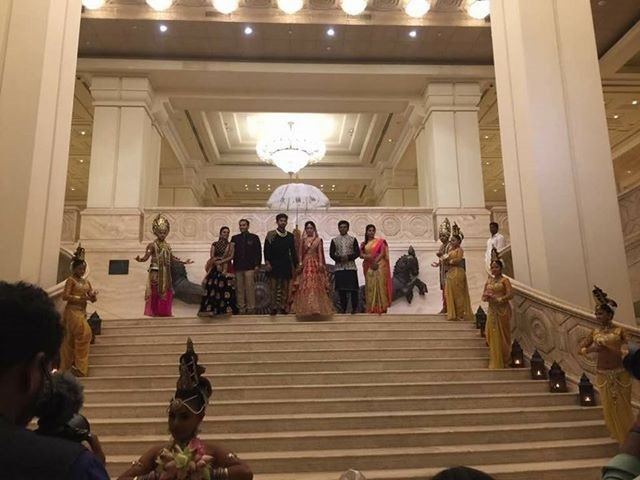 The owner of Saravana Stores also hosted a wedding reception, which was attended by MK Stalin, Hansika Motwani and Raai Laxmi. It was held at the ITC Grand Chola in Chennai on June 4. 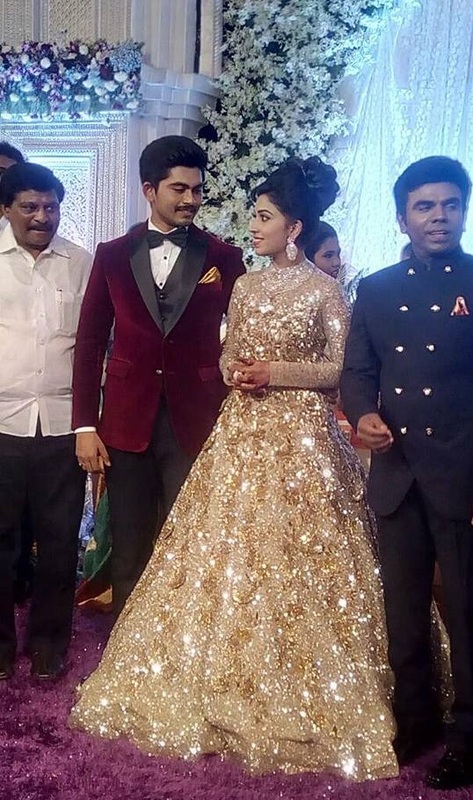 Arun\'s daughter donned a specially-designed gown said to be the costliest in India in recent times. This reception was a grand and star-studded affair, which witnessed the presence of many leading personalities from politics, business and the film industry. 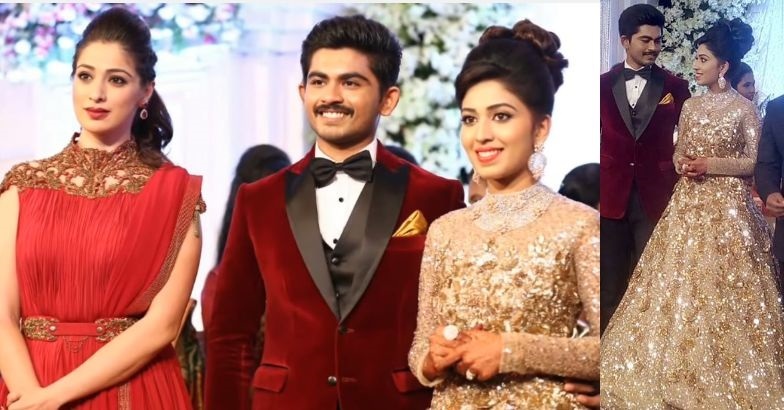 DMK leader MK Stalin, actor Prabhu, Jeeva, director Bala, actresses Hansika Motwani and Raai Laxmi were among the celebs, who attended the event. 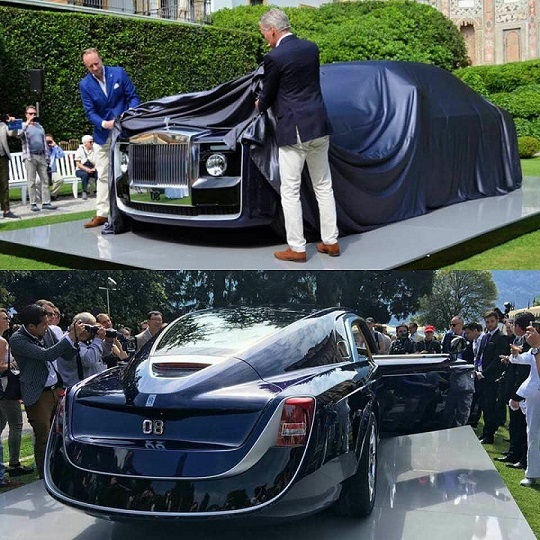 The bridegroom was gifted a Rolls Royce. 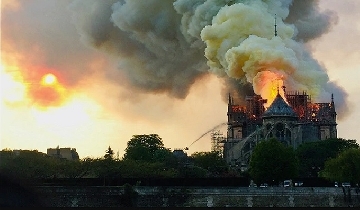 The bride was dressed in a dazzling gold gown, splattered with diamonds, the cost of which is reportedly estimated to be 13 crores. 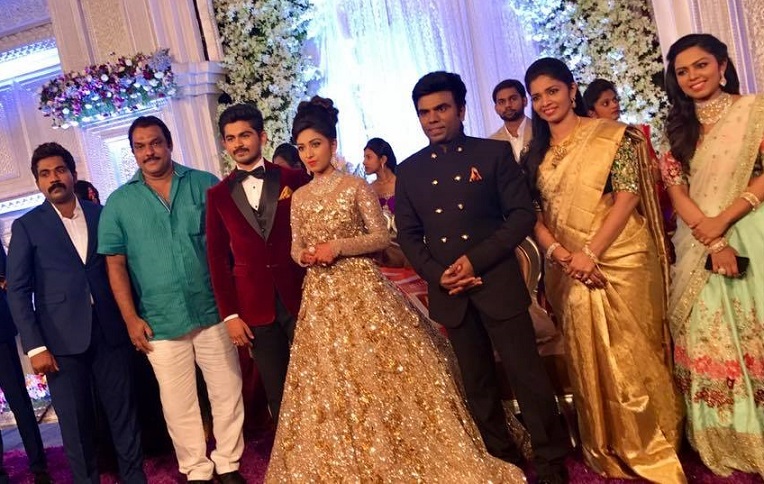 The guests for the wedding were served a lavish meal costing Rs 6,000 per head. Marriage arrangement and other expenses are said to be around 100 crores. Saravana Stores is said to be the largest family owned business retail chain in India. The group has been growing rapidly over the past five years and is likely to branch out to metro cities like Mumbai, Delhi and Bangalore.